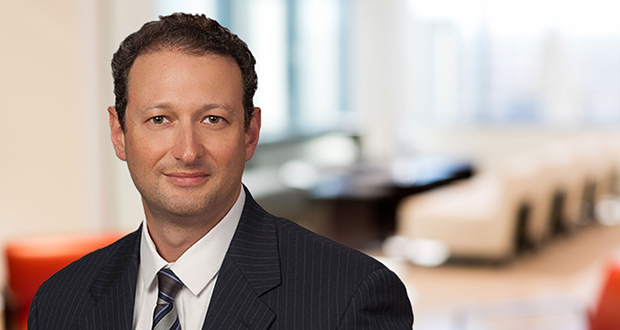 Vadim Braginsky, who last month joined Cozen O’Connor’s Minneapolis office, credits his wife with spurring his transition from electrical engineer to attorney specializing in intellectual property and patents. She recognized other skills that Braginsky could put to use, and after attending an information session at what was then William Mitchell College of Law, he determined to go to law school and become a patent attorney. A. Surprise me. Say something unexpected. For me the best conversations oftentimes are with people I disagree with, when you can debate a little provided that you and the person you’re speaking with are intellectually honest, open to new and different ideas and respectful. A. “The Industries of the Future” by Alec Ross. He describes several technologies already in existence that he thinks will disrupt the world economy over the next generation or two: informatics, robotics, health care, cyber warfare, automation of financial systems. Besides that, I enjoy Robert Heinlein and some other sci-fi writers. A. Poorly timed traffic lights. And stop signs. A. Working with talented, dedicated and creative people whether they are colleagues or clients or inventors. As far as the work itself, devising practical creative solutions especially when at first there might be an impasse. A. I share most lawyers’ grievance about the reality of tracking time in private practice. I would like there to be unlimited budgets and all the time to do as good a job as can be done. But we must fit the practical constraints and deliver the value proposition that our clients expect and certainly deserve. A. I love being active outdoors, skiing downhill and cross-country, bicycling, exploring new places. I love doing family trips while my teenagers still like doing stuff with their parents. A. [Patterson Thuente shareholder] Brad Pedersen, a mentor and colleague from early in my career. He’s a real creative type and outside-the-box thinker. He usually is the smartest guy in the room but makes everyone feel at ease and values everyone’s contributions. Q. What’s a misconception people have about working as an attorney or judge? A. A misconception that non-lawyers tend to have is that attorneys have definite answers and clear advice immediately at the ready. If it was that simple, there wouldn’t be so many lawyers. The challenge is to provide clients actionable advice and to distill complex and nuanced counsel into a presentable form that businesspeople can use to make decisions. It can take a considerable effort to get to that point. For non-patent professionals, a misconception often expressed is that a granted patent is valid and incontestable. The reality is — and it might be costly to get to that answer for someone accused of infringement — many granted patents overreach in their scope and may not be valid. Q. What if any is your favorite depiction of the law, the legal professional in popular culture? A. I really enjoy “Better Call Saul.” Besides being artistically outstanding and having great storytelling it shows many sides of our profession in a way that’s not often portrayed. For instance, the struggles of a solo practitioner starting up and mundane work such as document review by litigation associates, to name a couple. Also, I think you design a professional ethics class based on all of the borderline (and not-so-borderline) actions that the characters take.